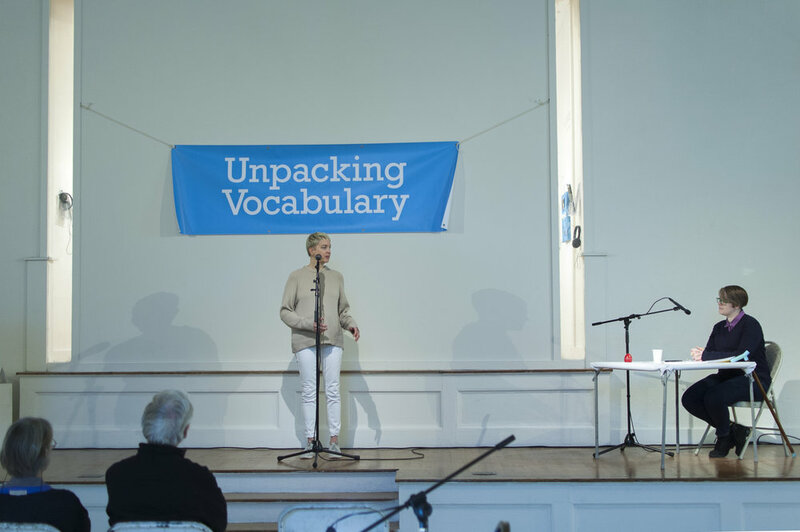 Unpacking Vocabulary, unpacks art jargon through a nontraditional vocabulary bee. In 2011, I began collecting words from contemporary art and art theory texts, as well as from artists, academics, critics, and curators. 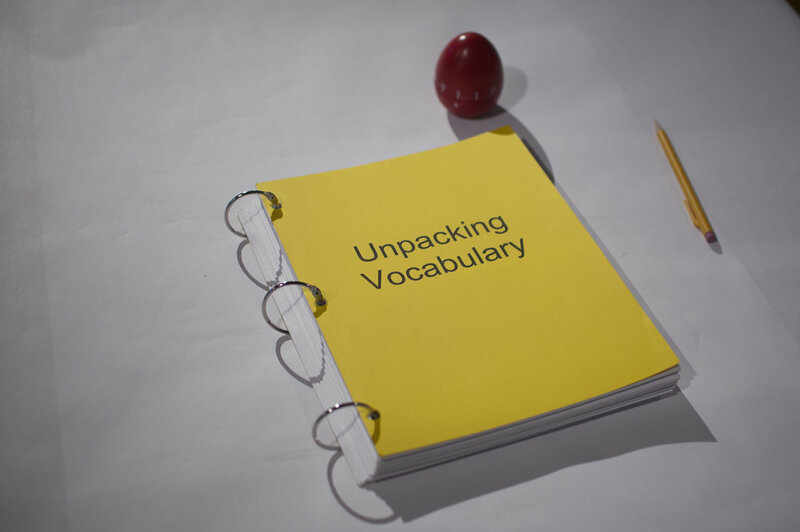 When I would hear a buzzworthy term or a word I didn’t know the definition of, I would ask the person using the word to define it. I would then find conventional and unconventional definitions for these words. Sometimes, I asked a nine-year-old or my mother for the definition. The performance is modeled on an old fashioned spelling bee. Authoritative voices (art critics, academics, and curators) call out the words as I attempt – and sometimes fail at – defining them. Discussion ensues between the prompter and myself as we work toward the meaning of these words. 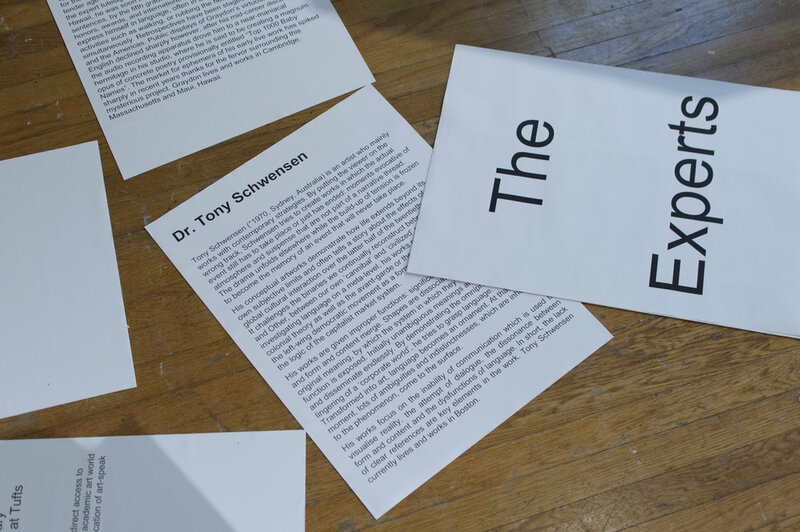 The project is ongoing and includes a book with each word accompanied by its etymology and the various definitions.